And revenue could soar a mind-blowing 303,316% over time starting August 1. And it could make you very, very wealthy. An estimated 30 million Americans suffer from one rare disease or another. There are very few treatments... and virtually no cures. It often takes years... or even decades for a company to produce even one treatment. And a rare 8,735% on Alexion Pharmaceuticals. Just $5,000 in each of those stocks would have handed you more than $677,000 in pure profit. And $10,000 in each makes you a millionaire! Nearly $1.4 million in profit, to be exact. But these gains could pale in comparison to what I’m going to show you today. Because each of the companies you’ve just seen treated only a handful of rare diseases... 17 in total. For the 30 million Americans living with a rare disease... this technology is the first beacon of hope they’ve ever seen. All told, I’m projecting you could multiply your money tenfold in the short term... 29-fold in the medium term... and much, much more as this technology sweeps through the $1 trillion rare disease market. $10,000 into $300,700... and beyond. This company is set to see a 303,316% revenue spike starting on August 1. So it’s critical that you pay close attention to the amazing technology I’m about to show you. Here’s a closer look at how this technology works. It starts with the story of a young boy named Bobby Davis. At 9 years old, Bobby Davis was diagnosed with Duchenne muscular dystrophy. It’s a disease where your muscles slowly turn into a fat-like substance. First, it affects your arms and legs... confining you to a wheelchair. Then it affects your diaphragm... requiring a ventilator to help you breathe. And finally, your heart stops. As a result, most people with this debilitating disease only live into their teens. Today, Bobby is 24 years old. He’s very lucky to have lived this long. The reality of the situation, however, is that the clock is ticking. The latest drug treatment for folks with Duchenne today costs $89,000 per year. And that doesn’t include their at-home care or loss of income. And it’s definitely no cure. An incredible breakthrough technology from Harvard and MIT could finally give Bobby the life he deserves. You can see there’s no structure whatsoever. You can see there’s infinitely more structure here. And they’re indistinguishable from the normal cells you just saw. 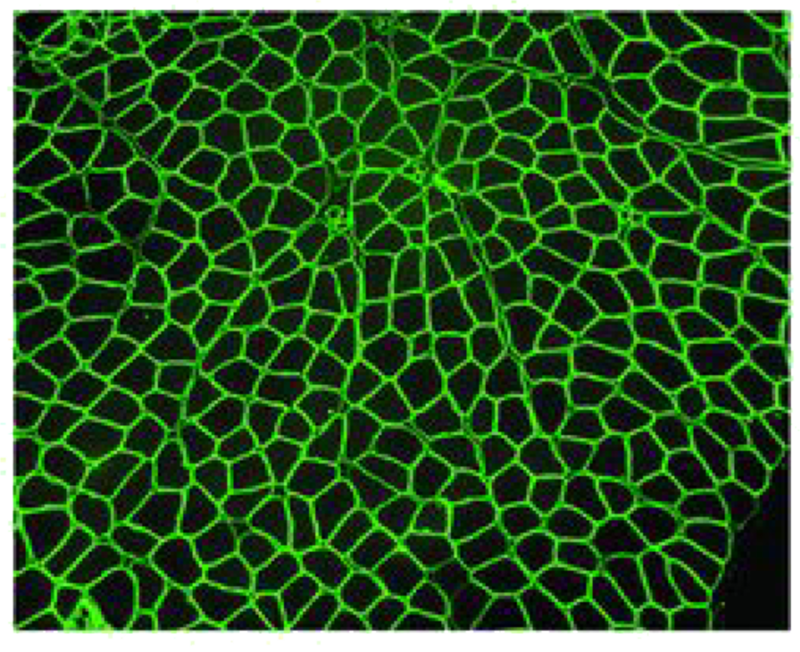 These are the kinds of strong muscle cells that could help Bobby walk again. He has good reason to believe that. 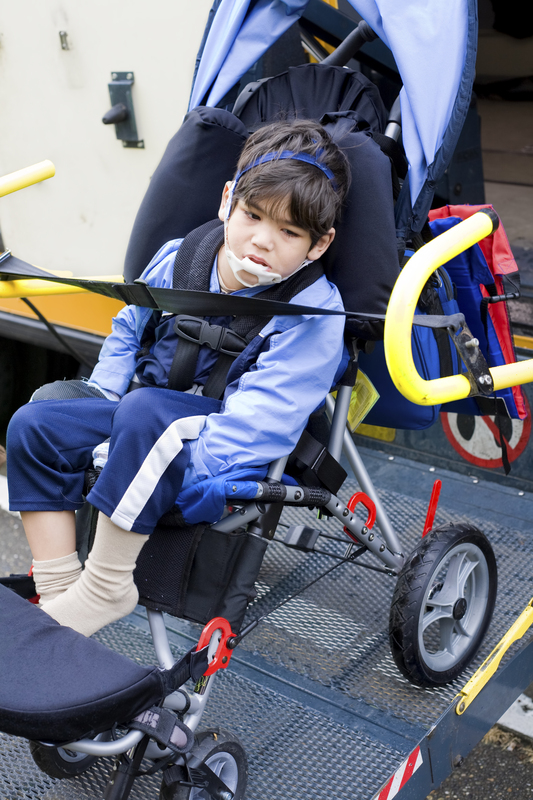 This new technology erases the source of Duchenne muscular dystrophy. Because here’s the thing. This brand-new technology doesn’t just work on Duchenne muscular dystrophy. It could fix nearly every rare disease in the WORLD. In total, 4,800 horrific – and often fatal – diseases GONE. With a single technology. The reason I’m reaching out today is that right now, you have the chance to be an early “partner” in this cure by investing in one company at the forefront of this disease-ending technology. And some of the most brilliantly trained minds from Harvard and the University of California on its team. Forbes estimates that this market is worth – conservatively – $1 trillion. If you laid 1 trillion $1 bills end to end, you could get to the moon and back an incredible 2,433 times. If this company captured even 5% of that market, I estimate its revenue could skyrocket 303,316%. I don’t like to throw this word around, but this technology is nothing short of a miracle. The reason I’m so excited about this technology is that I’ve personally witnessed the pain and helplessness people with rare conditions face. I’ve lost two close relatives to rare diseases in the past. I can tell you it’s extremely difficult. This company is working with a single technology that could work on ALL 4,800 of these rare diseases. And in the process... you could become very, very wealthy. You see, the power of human ingenuity and its ability to defeat the ugliest diseases has always inspired me. Early in my financial career, I found I had a knack for identifying companies making truly life-changing medical breakthroughs. I wanted to invest in things that truly helped people. The patients. The investors. Everyone. A couple years ago, I discovered a company called Onyx Pharmaceuticals. It was successfully treating kidney and liver cancers with a drug called Nexavar. But the broader market didn’t have a clue. So on April 2, I recommended that my readers take a position in Onyx. Just a couple months later, they had the chance to lock in a 330% gain. 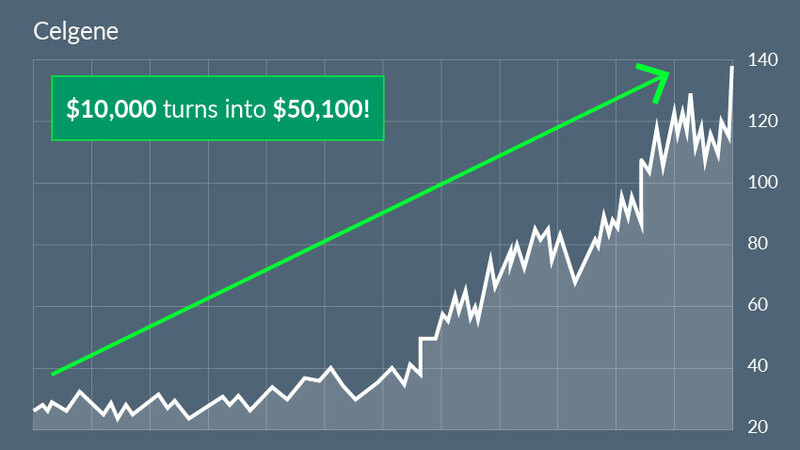 You could have turned a $10,000 investment into $43,000! 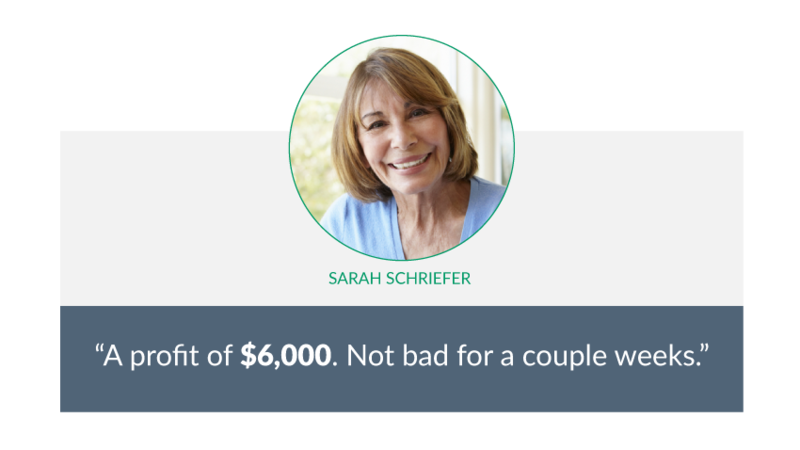 And you would have felt great knowing that you helped usher a lifesaving treatment to market with your investment. 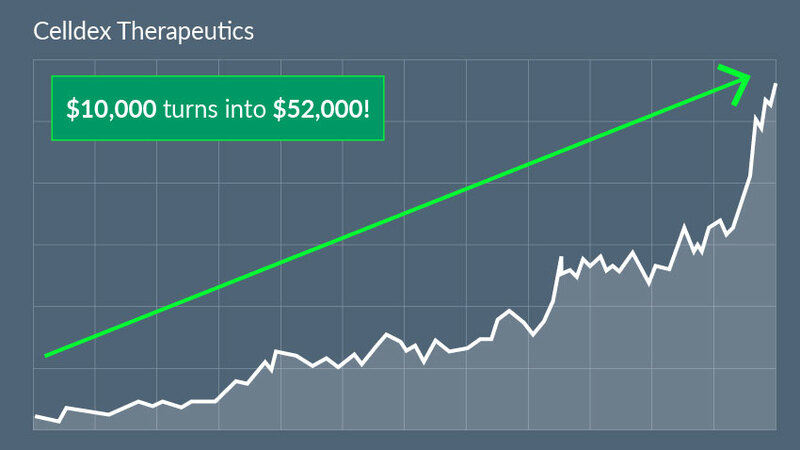 Similarly, my readers had the chance at a massive payday with Celldex Therapeutics. 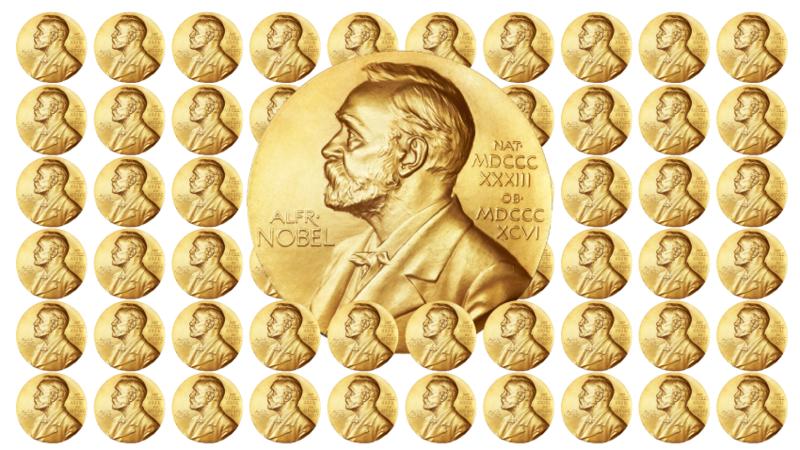 It was targeting triple-negative breast cancer, a rare form of the disease. So I dug into the company. I put Celldex’s financials under a microscope... and scrutinized the results of its clinical trials. After analyzing the data, I knew we had a big winner on our hands. So I sent an email to my readers on November 28. My subscribers could’ve pocketed a 419% gain! You could have turned every $10,000 into almost $52,000! I don’t know about you, but I’ve known several people affected by breast cancer. Finding a company on the verge of successfully treating this disease was hugely satisfying... as was seeing the investment pay off! It gets better. Around the same time, I discovered NPS Pharmaceuticals. It sold a drug called Gattex to treat short bowel syndrome. It’s a rare disease affecting as few as 12,000 Americans. Sufferers can’t absorb nutrients well, so severe malnutrition can develop. When I saw the clinical data on Gattex... I knew it could help these people. And when I saw the financial numbers... I knew it could help a LOT of people get rich. Sure enough, my readers saw a 775% return in just 140 days. That’s enough to turn a single $10,000 investment into more than $87,000. I want you to think about a gain like that for a minute. That’s 775% profit in less than half a year. It would take the average investor about 28 YEARS to collect a 775% total return in the broad market. But my readers were able to bring in those wins in mere months... thanks to the explosive biotech markets. But all these breakthroughs pale in comparison to the technology I’m sharing with you today. Because it has the potential to wipe out as many as 4,800 rare diseases. As a result, I expect revenue for one key company to launch a colossal 303,316% starting on August 1. Here’s how this amazing cure works. There are about 30,000 individual instructions, also known as genes, in your DNA. So, as you can imagine, a lot can go wrong. Each gene provides your body with a different instruction. Many of them can cause diseases if the instruction isn’t written correctly. For example, you have a gene in your body called DMD. It normally instructs the body to protect the muscles from breaking down. But that’s literally the ONLY thing wrong with Bobby’s body. Just a single instruction of the DNA. In fact, for most rare diseases, just one of these 30,000 instructions is wrong. Like with sickle cell anemia. 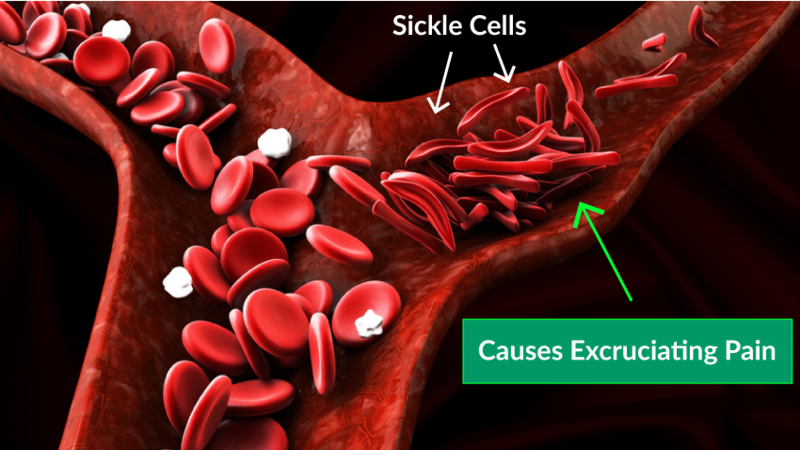 A single error in your HBB gene tells your body to manufacture sickle-shaped blood cells. Their blood cells are abnormal because just one instruction in their DNA was off. The same goes for progeria syndrome, which is caused by a faulty LMNA gene. It causes children to age 10 times faster than normal. Most die by age 13. That’s what’s so tragic about these diseases. These people are otherwise PERFECTLY normal. But if one gene in their DNA is even a little bit off... it can have tragic consequences. We have to rewrite the problematic gene so it gives the correct instructions. If you could do that, you could wipe out ANY disease with a genetic cause. Doctors have dreamed of being able to do this ever since the discovery of DNA in 1953. 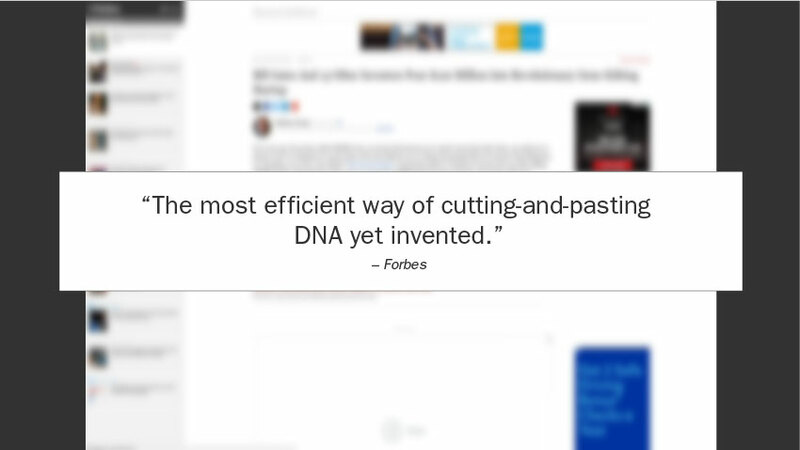 But there has never been a way to rewrite a single gene with absolute precision. As a result, the vast majority of rare diseases have NO treatments, let alone a cure. The cutting-edge technology I’m going to show you today can do exactly what doctors have been dreaming of. And extinguishes the source of your disease. One that could eventually cure 30 million Americans’ diseases... and help hundreds of millions more. 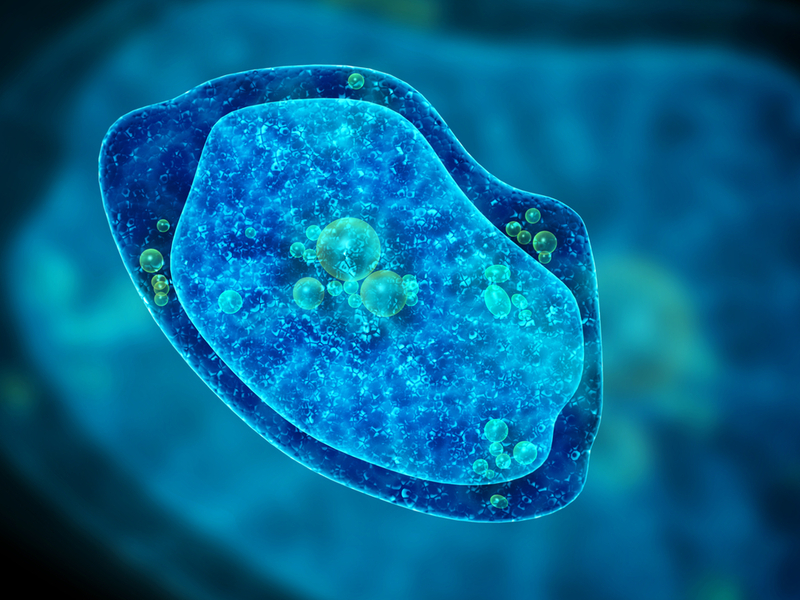 You see, these single cells developed their own method of defense against disease. They could edit their own DNA... and even “edit” the DNA of attacking viruses to make them completely harmless. 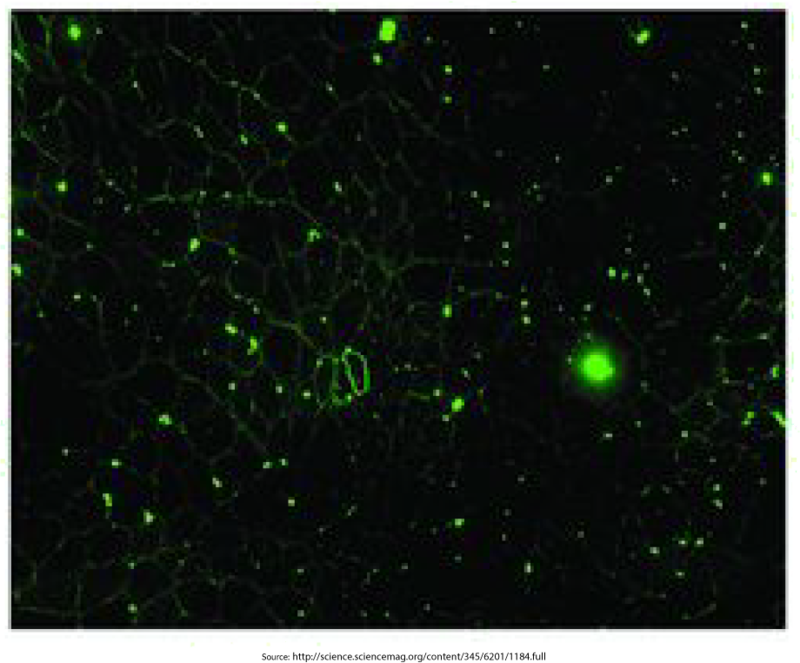 In studying these microscopic organisms, a brilliant Harvard-educated biochemist asked a simple question. Could we use this enzyme to edit other kinds of DNA? It’s a question that will forever alter the course of human history. 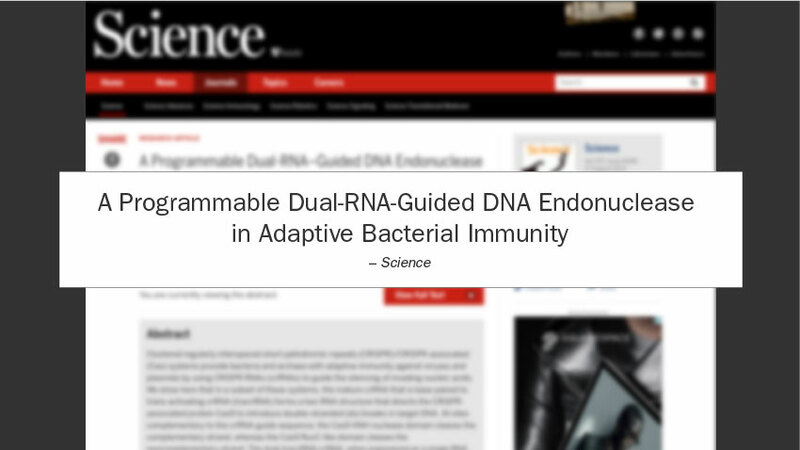 Because the answer – published in a 2012 scientific paper called “A programmable dual-RNA-guided DNA endonuclease in adaptive bacterial immunity” – was a resounding YES. Suddenly, using this enzyme, doctors could fix the tiny imperfections in genes. It has the potential to eliminate the source of virtually EVERY rare disease. The Genesis Cure literally erases the bad instruction and replaces it with the right one. Every expert who’s taken a serious look at this technology immediately realized it’s the most incredible medical breakthrough since vaccines or even antibiotics. Bobby’s jelly-like cells turned into strong, able cells. Up until now, the only tools we had to help Bobby were expensive drugs that slowed the breakdown of his muscles. But with the Genesis Cure, we could reverse all signs of his disease... at a fraction of the cost (more on that in a moment). No overpriced drugs... no toxic chemicals... and definitely no lifetime of simply “managing” symptoms. It would be as if Bobby had never had Duchenne in the first place. And it’s amazing news for up to 30 million suffering Americans. This single technology has the potential to cure 4,800 genetic diseases. From an investment standpoint, one company behind this technology is on the verge of unprecedented growth. 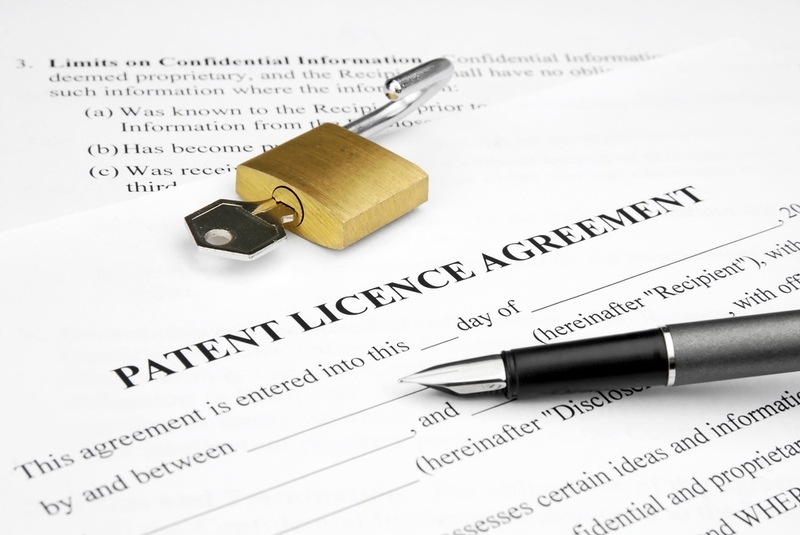 She immediately applied for the patents to protect her breakthrough. 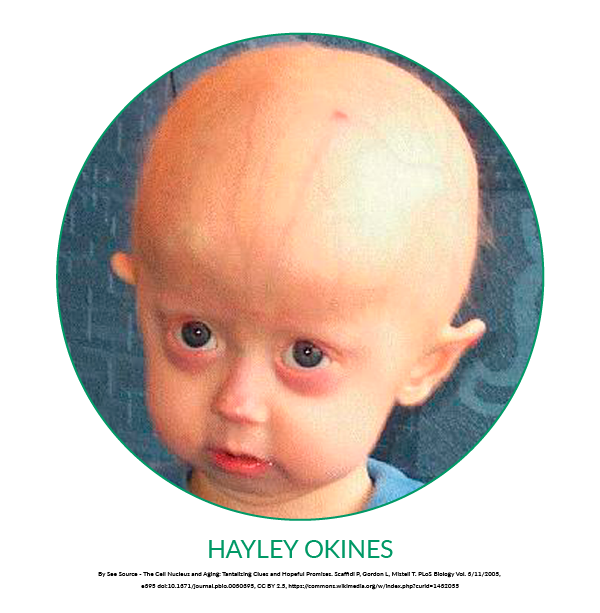 She was the very first person to ever apply for a patent on the Genesis Cure. And her company is about to take the $1 trillion rare disease market by storm. 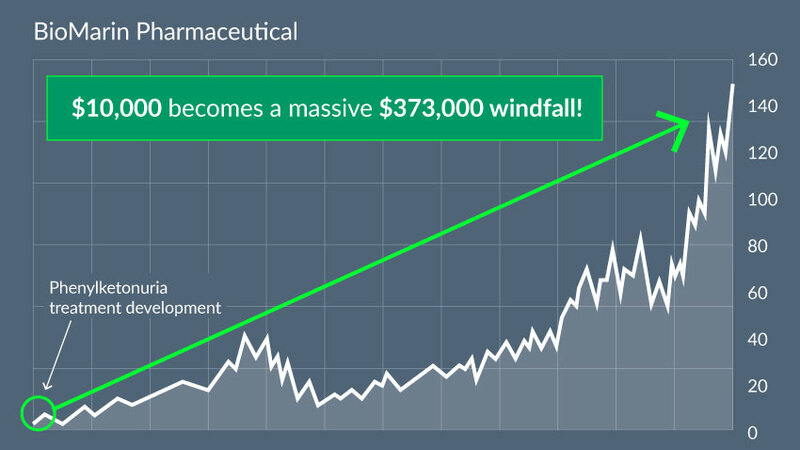 If you’re looking for the type of biotech that can leap 10-fold in a very short span, this small under-the-radar company is in the perfect position. It has just $16 million of revenue... But it’s poised to be the driver of a whole new industry surrounding the Genesis Cure. 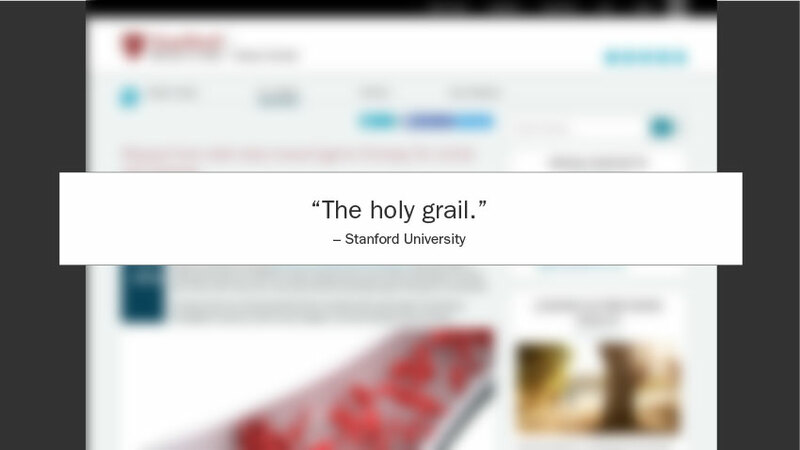 The company is backed by the prestigious University of California, home to a whopping 61 Nobel Prize winners. And it holds 19 patents for the Genesis Cure. As a result, the big contracts are already flowing in. It also made a deal worth $445 million with Regeneron Pharmaceuticals. There are whispers among biotech insiders that Gilead Sciences is next in line. And you can see why so many top-level players want in. The team behind this Genesis Cure venture consists of some of the most brilliant minds in the world. 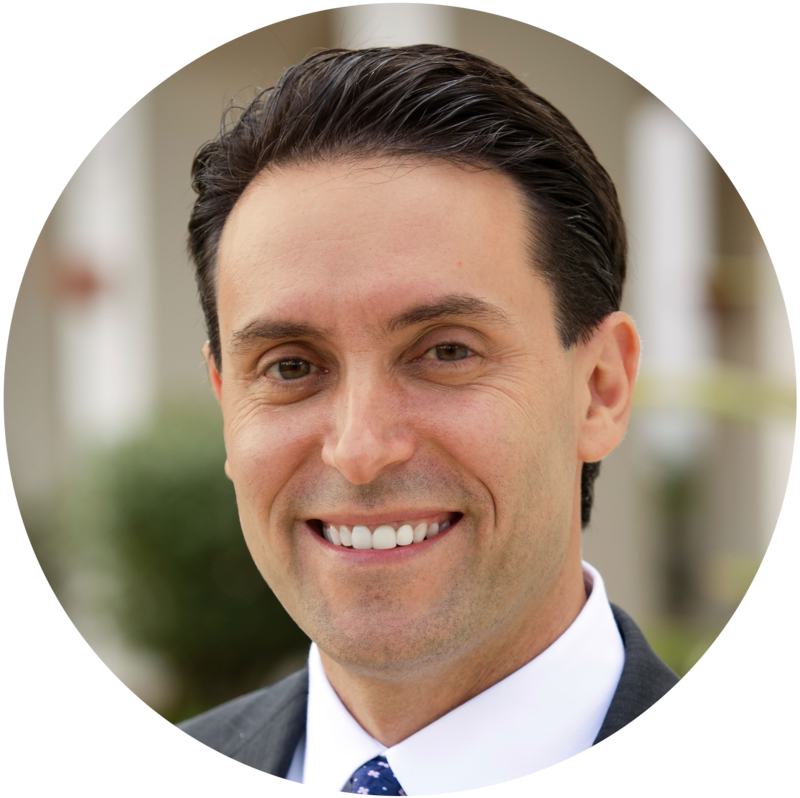 In addition, the CEO has his Ph.D. in molecular biology and has already co-founded three life sciences companies. In the past, members of this team have even helped bring blockbuster drugs like Humira to market. With $14 billion in annual sales, Humira is the best-selling drug in the entire WORLD. This is what I love seeing in a biotech company. The best and the brightest scientists in the world... great leadership... a wide patent moat... and a track record of success a mile long. Because there are more rare diseases for which the Genesis Cure can produce miracles. I’ve examined cases where Stanford doctors corrected the faulty gene that causes sickle cell disease in human cell tests with this technology. Potentially giving sufferers their healthy lives back... and effectively doubling their life spans. I’ve also seen scientists at the elite Yonsei University in South Korea “cure [test subjects] of hemophilia” – again, with NO side effects. People with hemophilia have bleeding episodes that can last a very long time. So any tiny cut or bruise can turn into a life-threatening emergency. Scientists were even able to use the Genesis Cure to correct a faulty RGPR gene that causes a rare form of blindness called retinitis pigmentosa. The National Institutes of Health tells patients to consume high doses of vitamin A... and that’s about it. Needless to say, simply taking more vitamin A does not cure retinitis. And their vision would clear up. The Genesis Cure could save millions of lives. An early version of the Genesis Cure approach has already saved a one-year-old girl named Layla, who had leukemia. All other treatments had failed at Great Ormond Street Hospital for Children in London. Then Dr. Waseem Qasim and his team “were able to obtain special permission to treat her with the new technology,” as reported by Nature science journal. Layla is now doing great. There has never been any medical breakthrough even remotely like the Genesis Cure. In fact, this technology is so versatile, it could even be used for pets. As you may know, purebred dogs often inherit major genetic health problems. But one Mississippi kennel operator plans to use the Genesis Cure to rewrite the gene for hyperuricemia in his purebred Dalmatians. The opportunities are endless. And this one single company holds the key. From an investment standpoint, this could be the biggest opportunity of your lifetime. And I predict you could see an astounding 1,010% return in the near term... 2,907% in the medium term... and much, much more in the future. 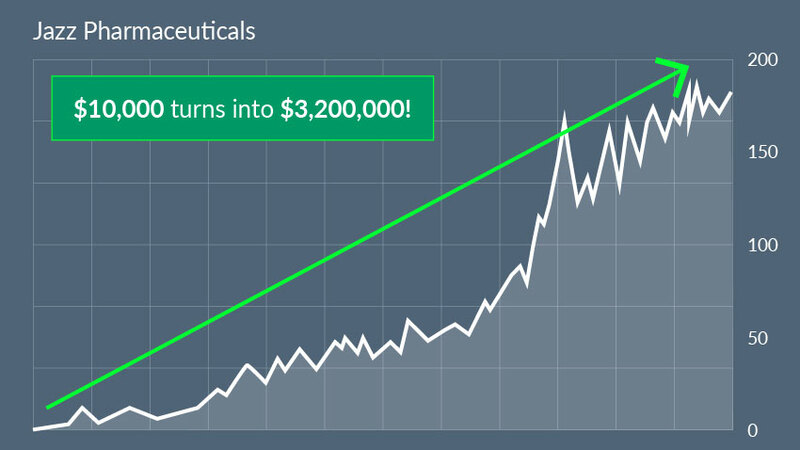 In the past, medical breakthroughs in rare diseases have led to some of the biggest gains in the stock market. Take Ultragenyx Pharmaceutical, for instance. I’ve been following the company since it burst onto the market back in 2014. It’s developing drugs for just six rare diseases. But you still could have seen gains as high as 285%! 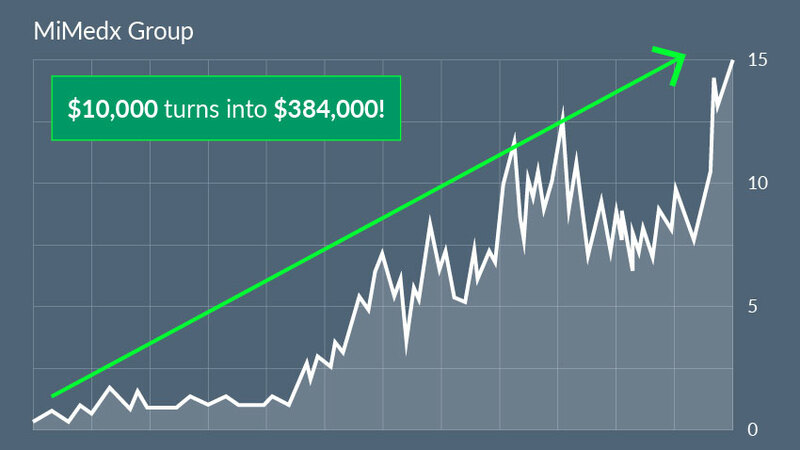 A modest $10,000 investment turned into more than $38,000 in just one year. The same thing happened with Celgene. It sells Vidaza, a drug for a rare blood disorder called myelodysplastic syndrome. Back in 2009, I told my readers about the company. At the time, it was trading at just $26.93. 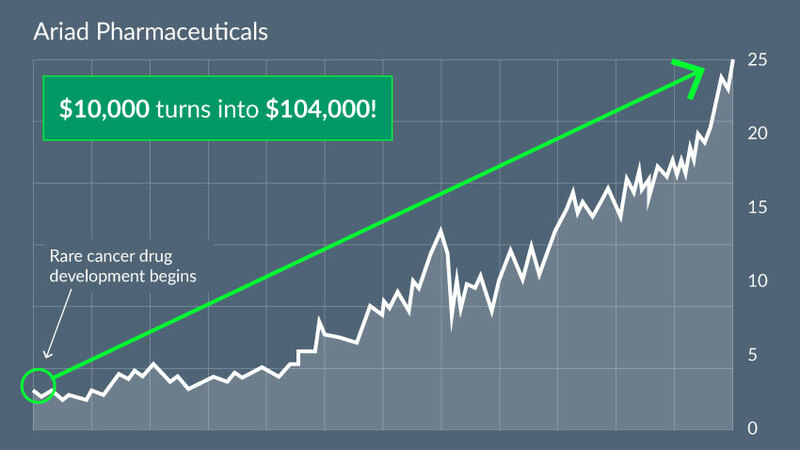 Had you gotten in when I wrote about Celgene, you could have seen gains as high as 401%! I also alerted readers to Ariad Pharmaceuticals when it was trading at just $2.41. I knew it was destined for great things. It was developing a potent knockout for a rare sarcoma. From that exact date, it went on to deliver peak gains of 944% before being acquired by pharma giant Takeda. You could have turned $10,000 into more than $104,000! The profit potential here is just outrageous. 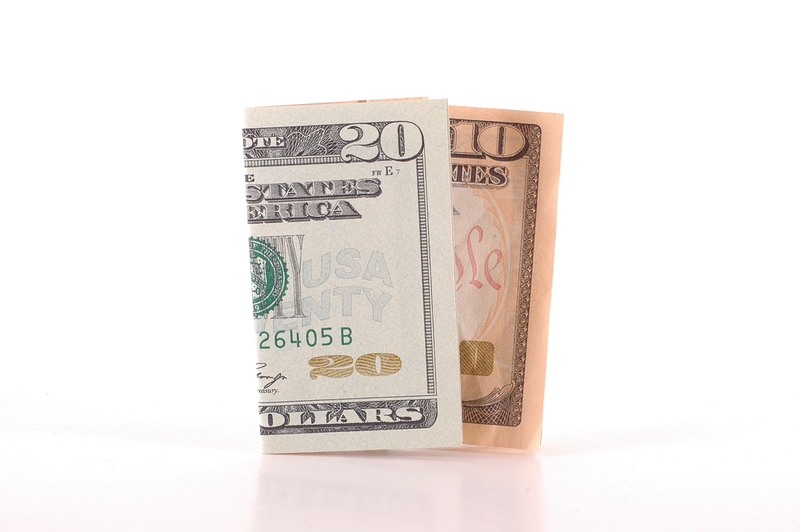 Let’s take a look at BioMarin Pharmaceutical. It develops treatments for some of the world’s toughest and rarest diseases. You’d have seen top returns of 3,637%! 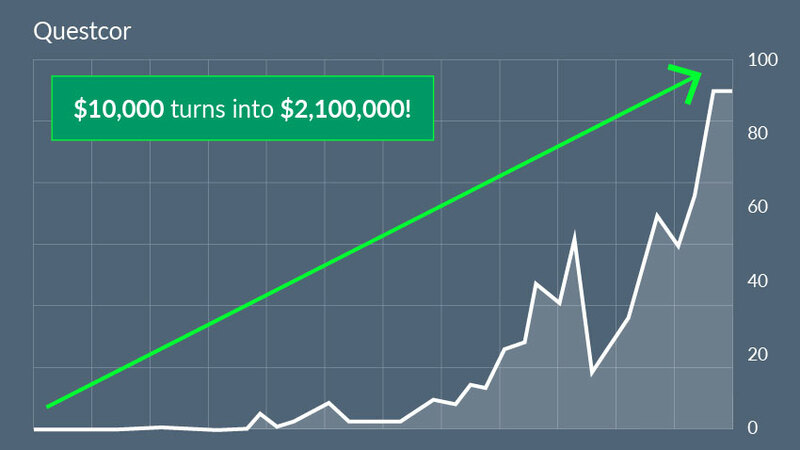 Your $10,000 investment would have exploded into more than $373,000! And even a smaller $5,000 investment would’ve turned into a gigantic $186,850 payday. Altogether, these companies offer treatments for just 15 rare diseases. And yet, they STILL would have delivered gains between 285% and 3,637%. Now just imagine what will happen to the company providing technology that could lead to a CURE for 4,800 diseases... for 30 million Americans. The potential market for the Genesis Cure is 24,350% bigger. Now, like any revolutionary medical breakthrough being tested, nothing is guaranteed. But this one company has all the right patents for the Genesis Cure. So it could make you extremely wealthy in the years to come. And best of all, the company is still small, so you can amass a very big stake for a small amount of money. At $16.4 million last year, this company’s sales are just getting started. 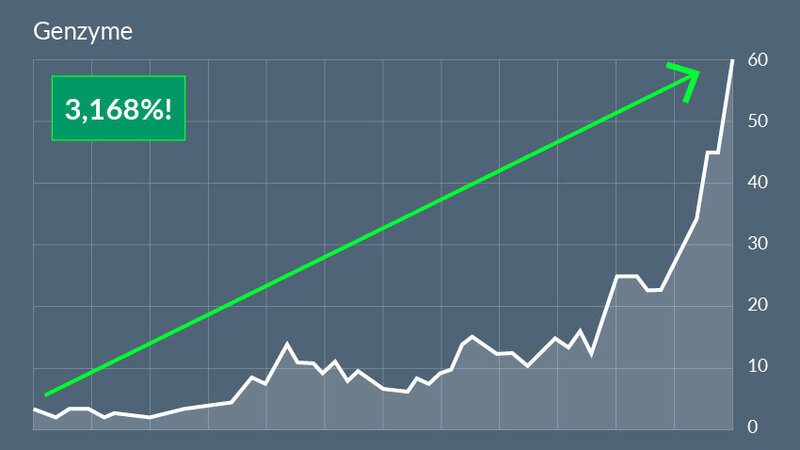 We’re looking at an unprecedented 303,316% revenue growth. This is the kind of opportunity that happens once in a lifetime – if you’re lucky. It may just be the biggest biotech opportunity in human history. And all the smart money knows it. $1.92 BILLION is behind this technology. And a FLOOD of venture capitalists rushed to get behind this technology as soon as they could. Bill Gates has poured $75 million into the Genesis Cure. Former Facebook President and Napster founder Sean Parker pledged $250 million. And huge funds like Fidelity, Google Ventures and T. Rowe Price have also seen the massive potential of this technology. They’ve invested millions in the Genesis Cure. So have 10 of the biggest venture capital funds. 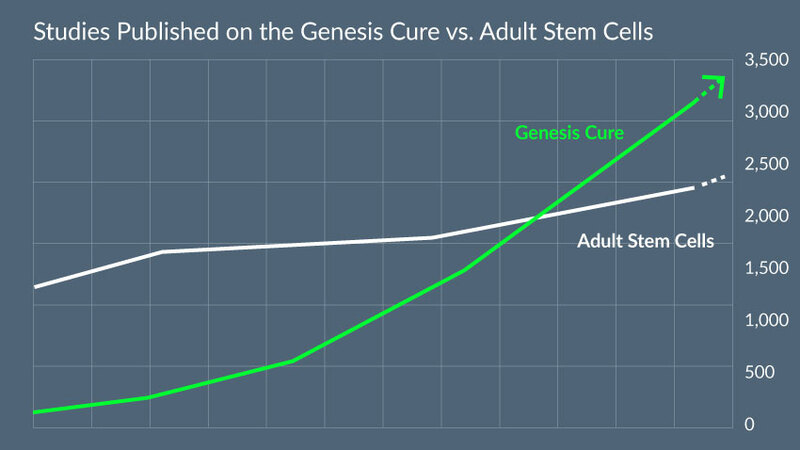 It would be extremely difficult to overstate how big the impact from the Genesis Cure will be. Pretty soon, there could be 4,800 more entries on the list of extinct diseases, alongside polio and smallpox. 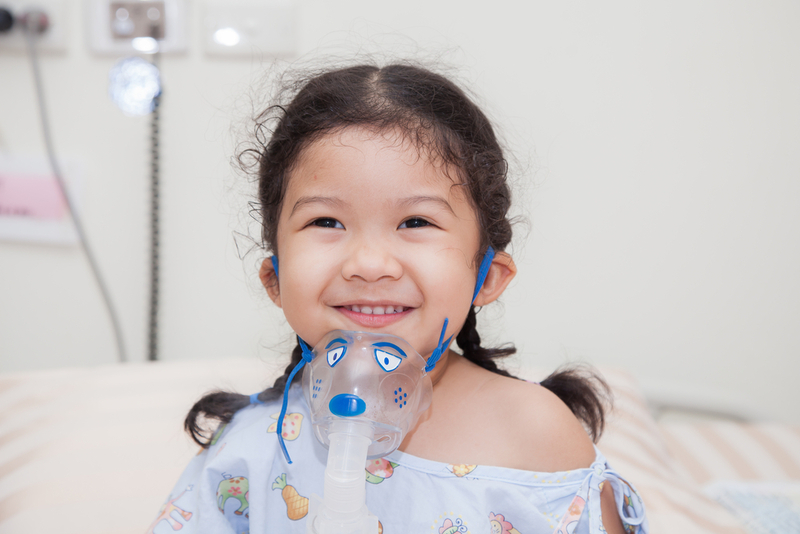 Of the 6,000 rare diseases in existence, 80% of them are genetic. Which means the Genesis Cure has the potential to make quick work of them. 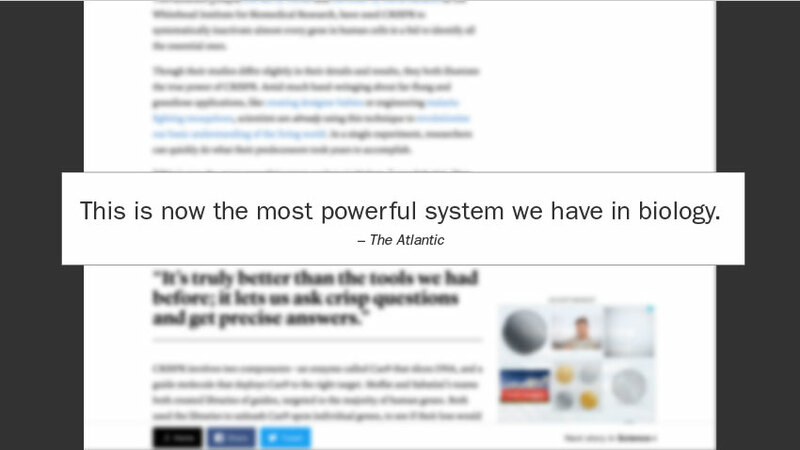 Because the entire scientific community is rallying around this technology. 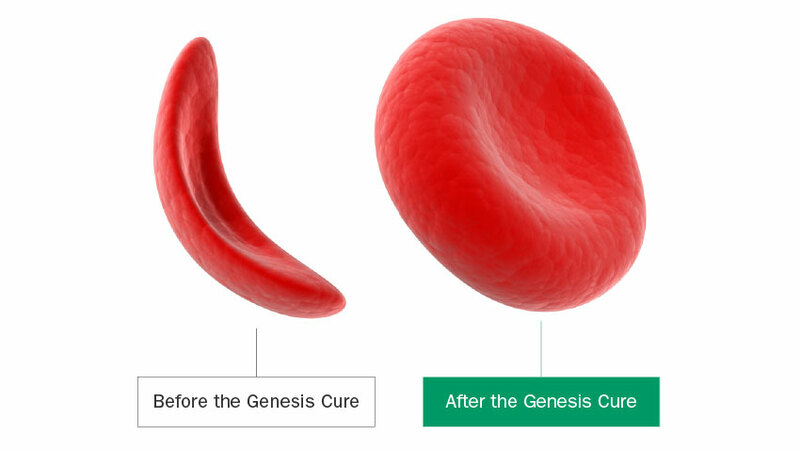 More than 6,300 have been published on the Genesis Cure since its discovery just a few years ago. To go ALL IN on the Genesis Cure. In fact, it could potentially cure diseases that affect billions, like cancer and heart disease. But more on that in just a moment. I want to show you how this flash flood of progress is poised to make one tiny stock absolutely skyrocket... starting on August 1. And if you follow my instructions today, you could be positioned for the biggest profit ride of your entire life starting August 1. I’m confident you could see as much as 1,010% gains in the short term... and much, much more over the long haul. And in June, this company announced it’s been granted a patent in China! Think about how much MORE growth it’ll see globally! And an estimated 100 million more in China. That’s a LOT of room for growth. According to my calculations, just 5% of the global market would be a 1,617,685% increase in revenue! Of course, growth that big will take a few years. 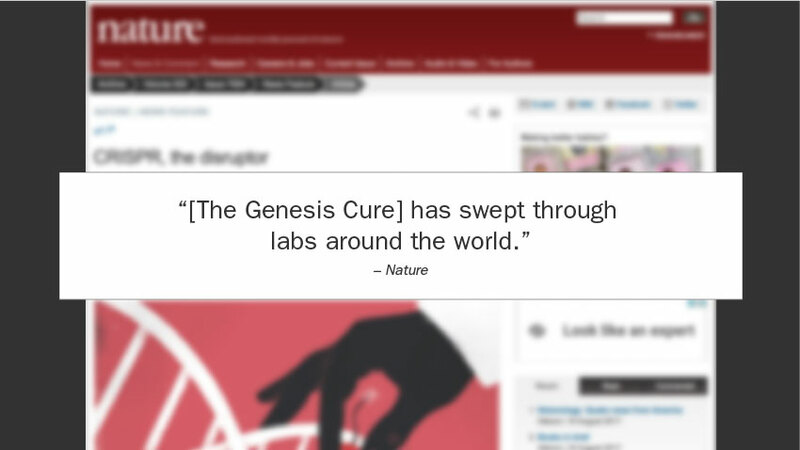 But I have no doubt that the Genesis Cure has the potential to be the highest-grossing medical breakthrough of all time. 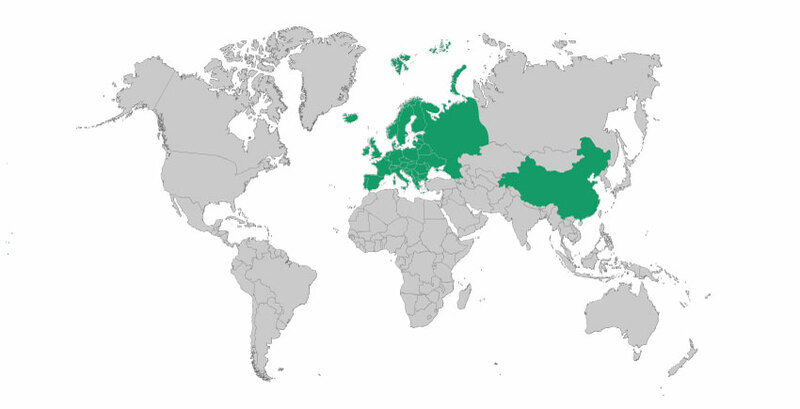 In addition, every major pharmaceutical company has its eye on the ultra-profitable rare disease market. In fact, the deals the company has already inked put it on pace for 4,378% growth in the very near term. Sure, that kind of growth is rare and extraordinary. But this is a rare and extraordinary technology. Scientists never could have imagined there’d be a single technology that could work on 4,800 diseases. So this could be the single most profitable investment you ever make. Of course, as with all investing, nothing is guaranteed. But I can’t stress this enough: You have to act before August 1. This company has been moving at a feverish pace. Use of this incredible technology is accelerating faster than anyone expected. The Genesis Cure is extremely easy to use. Not only that, but it’s inexpensive. It costs as little as $30 per use. Compare that to other forms of biotechnology that can cost as much as $5,000 per use in the lab. And they aren’t nearly as accurate or simple. It’s one of the reasons I love this company. It has the chance to improve millions of people’s lives... while making the technology available at a reasonable price. And yet, the potential reach is so large, it also has the chance to reward investors heavily! 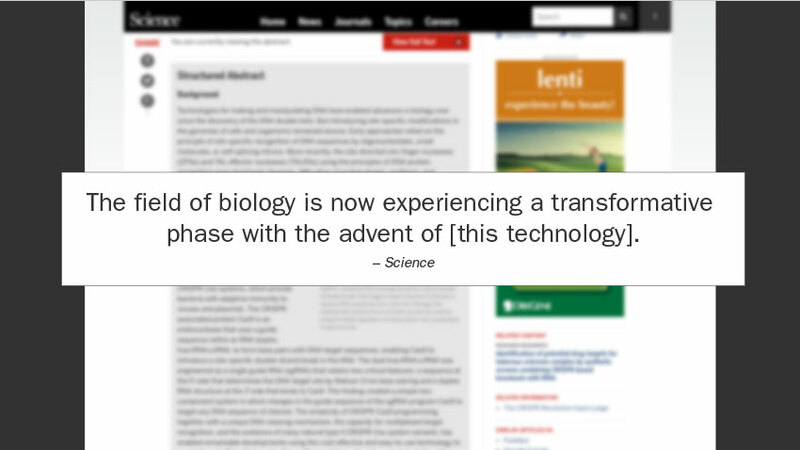 You can see why scientists are so excited about the possibilities of this new technology. 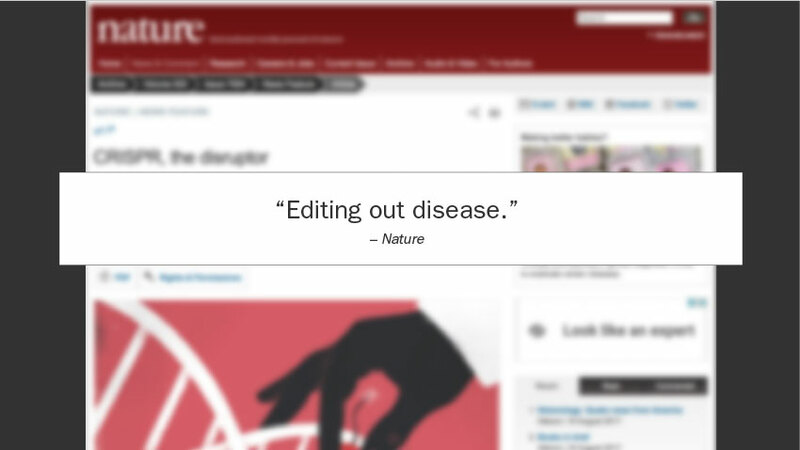 It’s not just rare diseases that could be eliminated. The fact is, many scientists believe there will be even bigger applications for this new tech. I’ve already said the Genesis Cure is the biggest breakthrough in human history. But it might be even bigger than I’ve let on so far. Because the fact is... more widespread diseases like cancer and heart disease ALSO have genetic sources. Which means the Genesis Cure can also target humanity’s biggest killers. Just recently, German researchers were able to edit out DNA mutations that cause cancer in mice. Two months after that, researchers used the Genesis Cure on a patient with aggressive lung cancer. And just this past May, researchers at the University of Pittsburgh School of Medicine were able to combat aggressive forms of liver and prostate cancers. 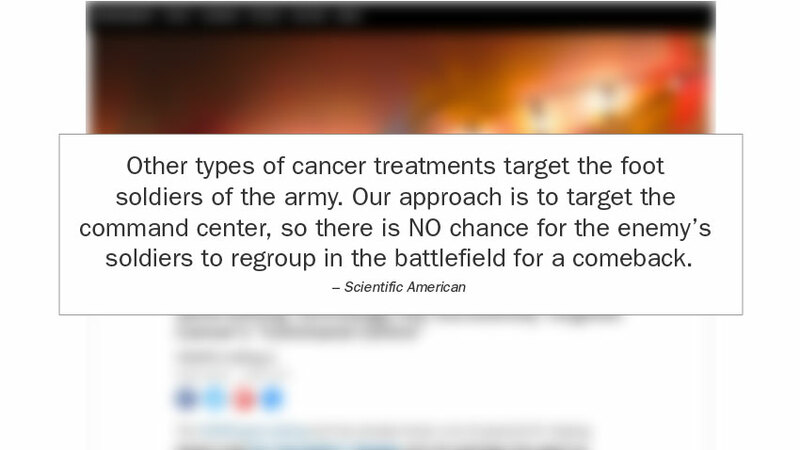 100% of test subjects who received the treatment saw their tumors stop spreading. And all of them survived past the study. It doesn’t affect healthy cells like chemotherapy does. But that’s not all. It can even make existing cancer treatments better. Patients who had only a few months left to live were given this therapy at the Fred Hutchinson Cancer Research Center. And as you can see here, the therapy melts tumors. The Genesis Cure can actually enhance this extremely powerful therapy... while also making it cheaper and faster. In fact, CAR-T cell therapy is one of the reasons pharma giant Novartis signed a deal with the company I’m talking about today. I expect the combination to sweep the cancer market – which is expected to reach $150 billion in the near future – turbocharging this one company’s revenue even more. So you can see why you could make even MORE than 2,907% as this incredible technology takes off. But it doesn’t stop with cancer. 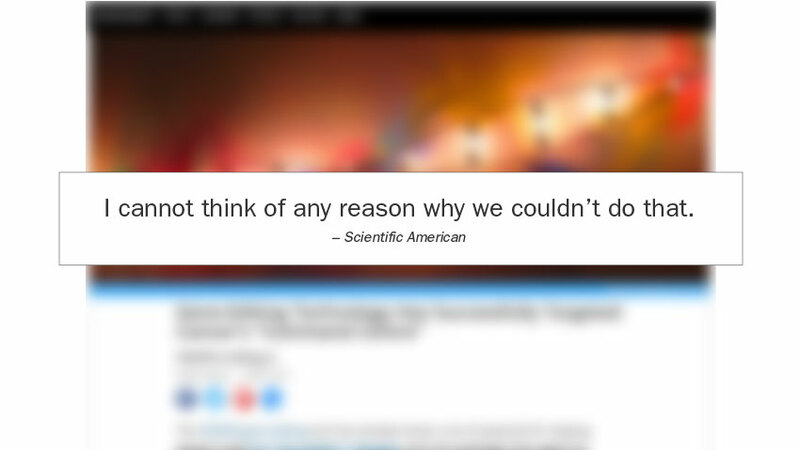 Because scientists used a single shot of the Genesis Cure to reduce cholesterol by 40% in a human liver. Receive one injection... and boom. 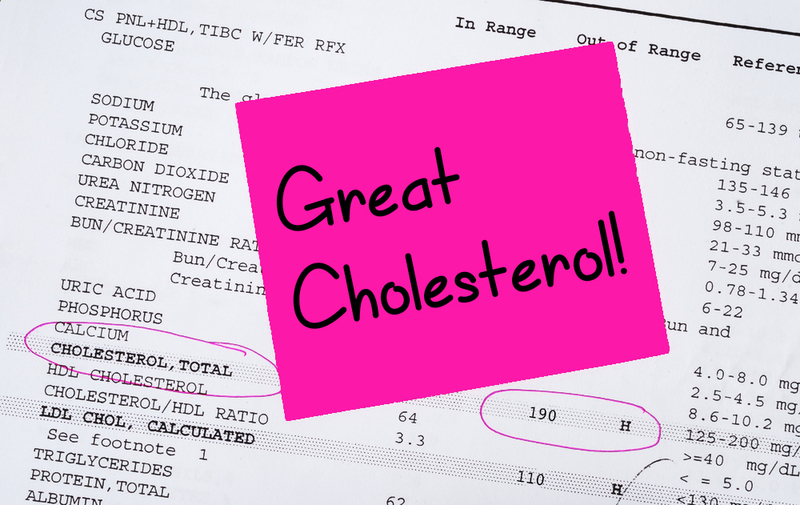 Your cholesterol numbers are better than they’ve ever been! No more worrying about a heart attack or stroke. And it’s why you could take your retirement to the next level by riding one company’s potential 303,316% revenue surge. So now is the best time to get in... before revenue starts to skyrocket on August 1. 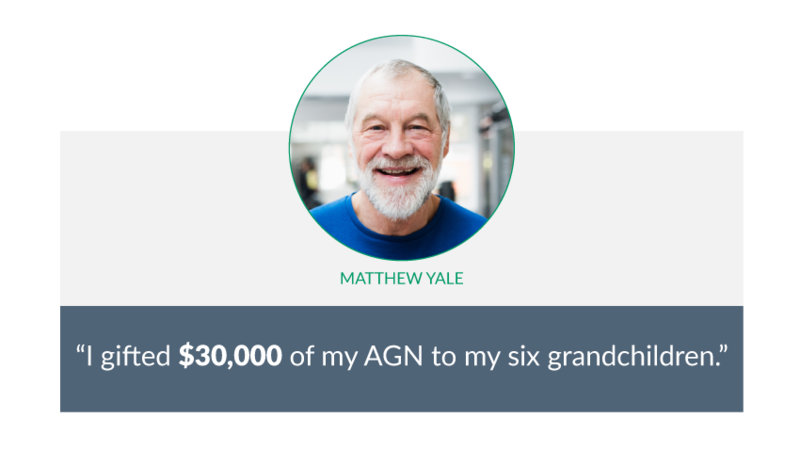 This is going to change everything – perhaps even your financial future. 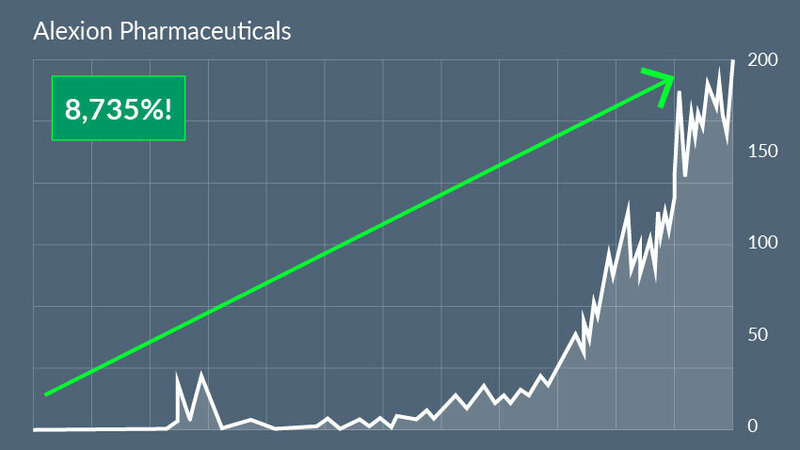 Over the course of stock market history, biotech stocks have consistently delivered some of the biggest gains ever. In November of last year, you could have picked up shares for $3.99 each. The following month, it announced amazing Phase 3 results for its superbug-slayer Plazomicin. The stock shot up 616%! 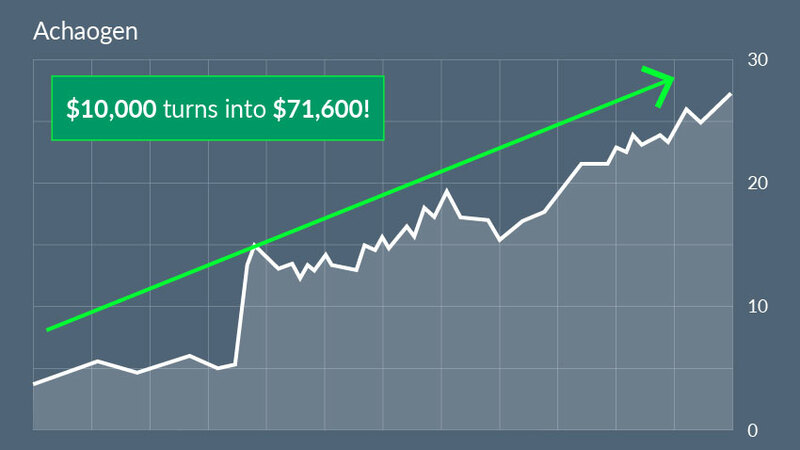 Massive short-term growth like this turns every $10,000 into $71,600! Imagine making that much money in just a couple months. 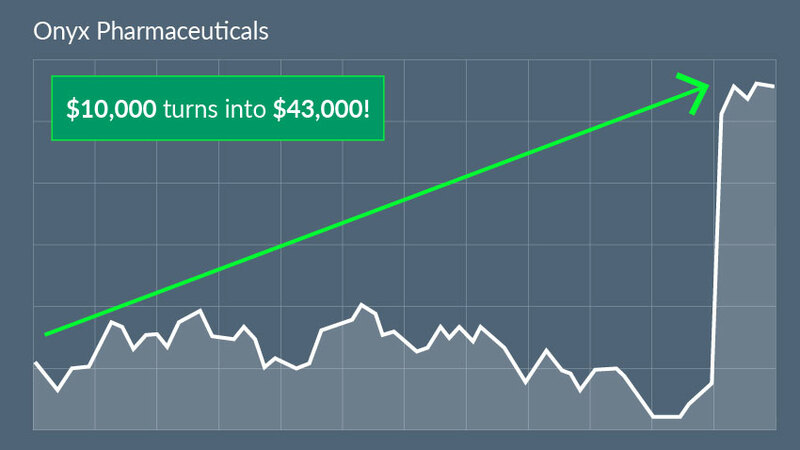 On July 31, 2015, Aquinox Pharmaceuticals was trading for $1.84. 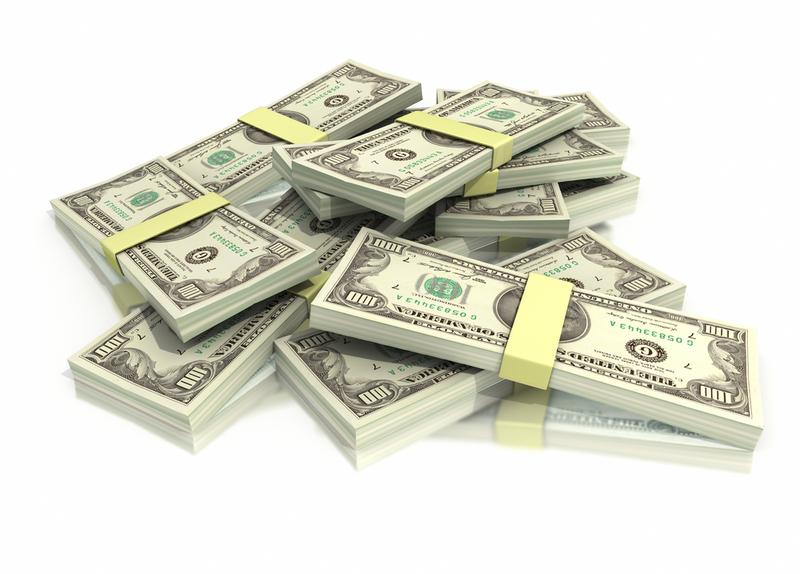 Less than one month later, it announced stellar Phase 2 results on its drug AQX-1125. It did wonders for patients with interstitial cystitis, a painful bladder disease. By August 14, the price had skyrocketed to $22.13. That’s a 1,102% gain in just two weeks. And seeing $120,200 sitting in your account. Now look at MiMedx Group. It was trading for a measly $0.40 a few years back. A revolutionary way to create tissue grafts for transplants and reconstructive surgeries. It SOARED 3,740% over time. That turns every $10,000 into $384,000. But this happens all the time in the biotech sector! You have to act before these companies announce their results and earnings. 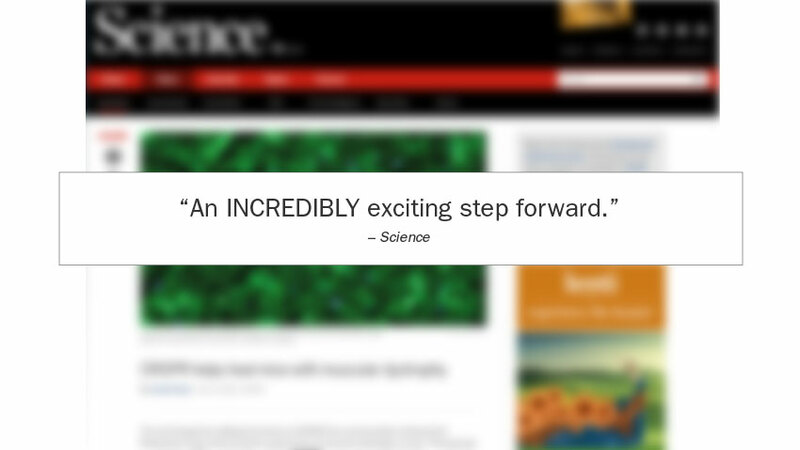 And something very BIG is coming August 1 for one key company behind the Genesis Cure. That’s why I’m pounding the table, trying to get the details on this opportunity to everyone I can. Because even a small investment could hand you bigger gains than ANYTHING you’ve ever experienced. When I’m researching a biotech for my readers, I look for very specific characteristics. Good science – I look at the company’s drugs and treatments to make sure its trials are producing real life-changing improvements for patients. Catalysts – What’s coming up that will send this stock into a frenzy? Phase 2 clinical trials... potential acquisitions... earnings announcements... 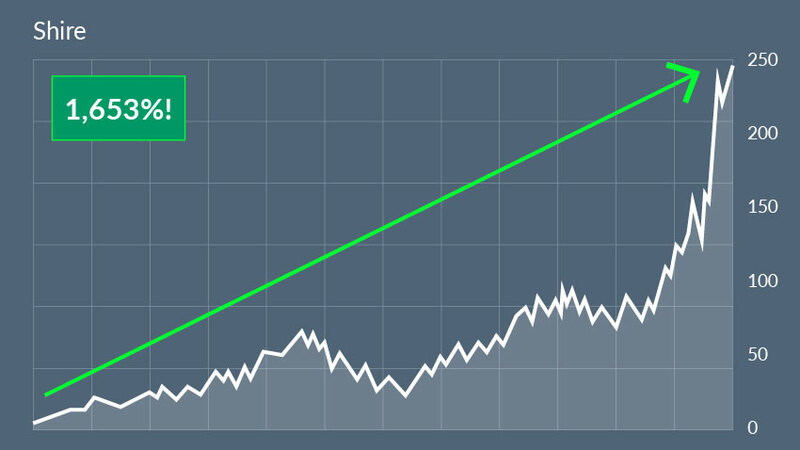 I like to call these events “lightning strikes.” That’s how I was able to deliver 775% gains on NPS in just 140 days. Extraordinary leadership – I want to know that the people in charge have a proven track record in biotech. Strong financials – Fiscal discipline is especially important in small biotechs. I need to see the company making strong and responsible decisions with its cash. Industry buzz – In my 20 years in the financial markets, I’ve made some very high-level connections. I personally call these contacts to make sure other experts are seeing what I’m seeing. 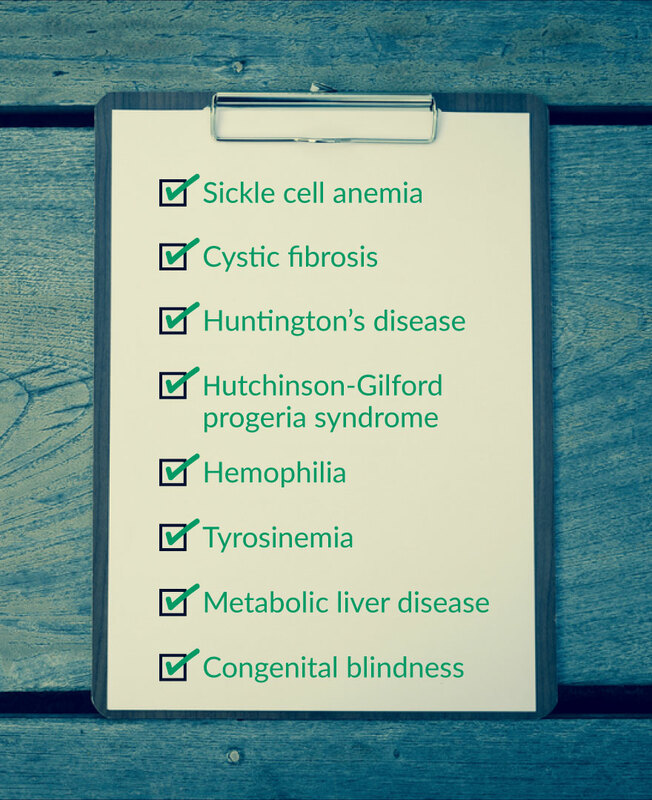 The Genesis Cure company easily meets all these specifications. It holds patents on technology that has demonstrated the power to correct debilitating rare diseases... as well as a potential to do the same for cancer and heart disease. 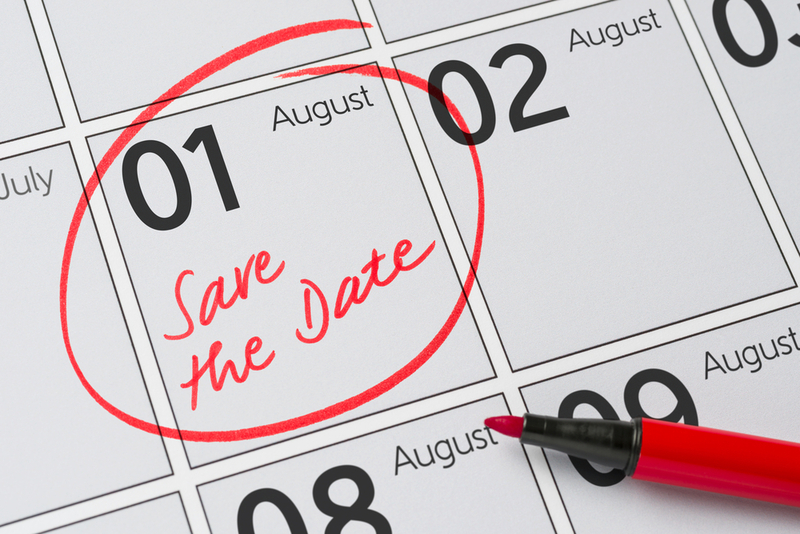 Its next announcement on August 1 could be the beginning of its legendary market dominance. Its team is made up of the top minds from all around the pharmaceutical industry... One even helped bring the best-selling drug in the WORLD – Humira – to market. And everyone in the industry has their eyes on this technology. They’re betting big – with their own money – that this technology will change the world. If you want to join them, you have to act now... before the company’s next announcement on August 1. You could see the start of the immense growth I’ve been talking about today. But I recommend getting in even sooner. Each discovering something more amazing than the last. For example, a study on the Genesis Cure was published in the Anticancer Research journal just a few weeks ago. It found this technology could “delete” a gene that makes ovarian cancer extremely aggressive. I expect each of these revelations to start hitting news outlets faster and faster. Very soon, the market will take notice. And the gains will be gone. Along with its patents, upcoming deals and clinical trials. I unfortunately have to limit the number of copies of my investment report. If I sent it to the hundreds of thousands of people who follow my research... the stock could artificially jump higher. Small stocks can be volatile, which means there’s a higher degree of risk. So I never recommend investing more than you can afford to lose. I want to make sure you have the chance to secure your stake while this company is still trading for just a fraction of what I expect it will be worth very soon. 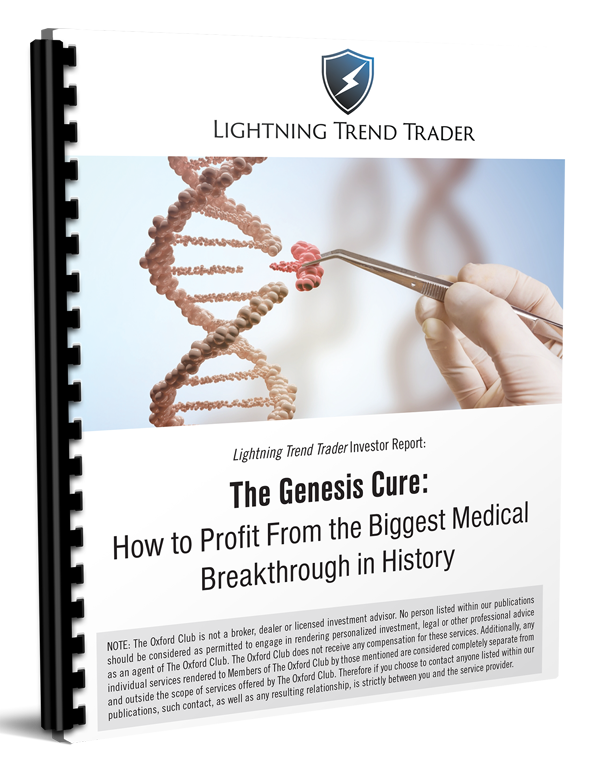 So I can only send my Genesis Cure Investment Report to subscribers of my biotech research service, Lightning Trend Trader. And I can accept only 225 new subscribers today. 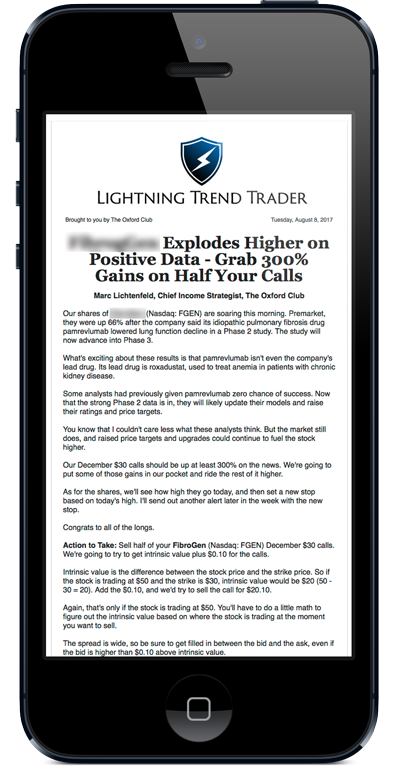 With Lightning Trend Trader, I dig into the most promising, cutting-edge and profitable opportunities in the biotech sector. I use every last shred of my 20 years of experience in the markets. And as you’ve seen, I’ve had some mammoth winners over the years. 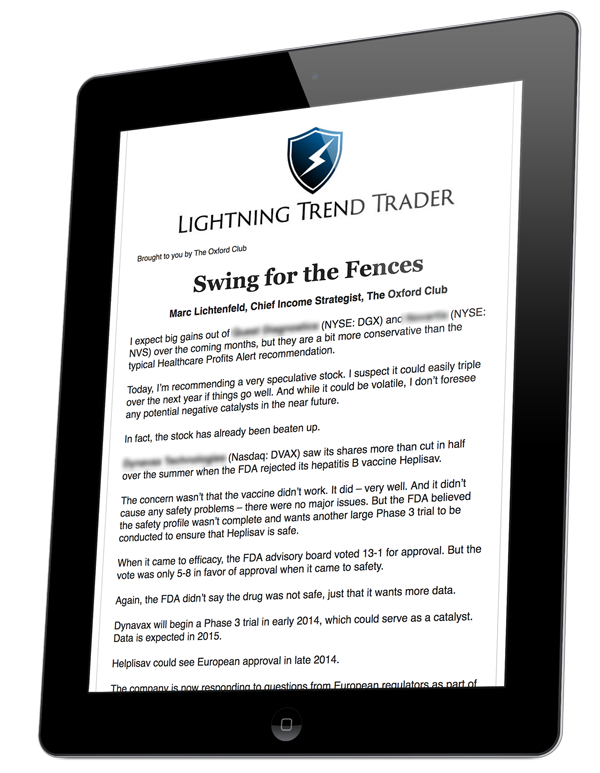 When you join Lightning Trend Trader, I plan to send you one to three brand-new breakthrough opportunities every month, or 12 to 36 a year. Each will have massive potential to help people suffering from disease... as well as the potential to deliver HUGE returns on your investment. I look for the best of the best under-the-radar stocks in the market. It returned 15,220% over time! 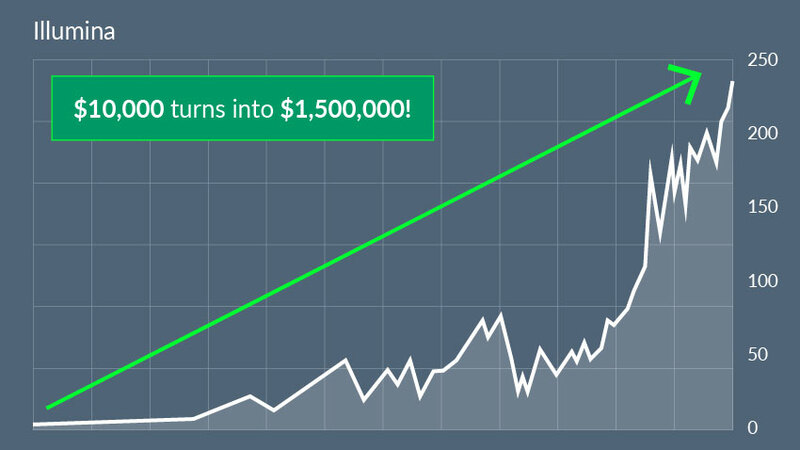 Gains like that turn a modest stake of $10,000 into $1.5 MILLION. I also look for biotech stocks like Questcor, which developed Acthar, a drug so versatile it could treat 10 different conditions. Look at the stock price! Enough to turn $10,000 into $2.1 million. Even if you’d only put $5,000 into the stock, you’d STILL be a millionaire. Again, I have to point out that the Genesis Cure has the potential to treat a lot more than 10 diseases. 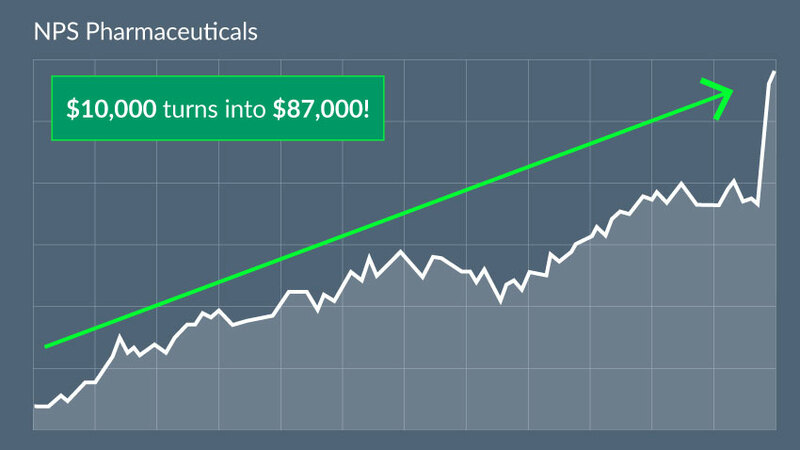 And of course, I’ll be looking to show you stocks like Jazz Pharmaceuticals, which returned as much as 31,940% starting after the release of Phase 3 data for its fibromyalgia treatment. Imagine putting $10,000 into Jazz and coming out the other side with $3.2 million. 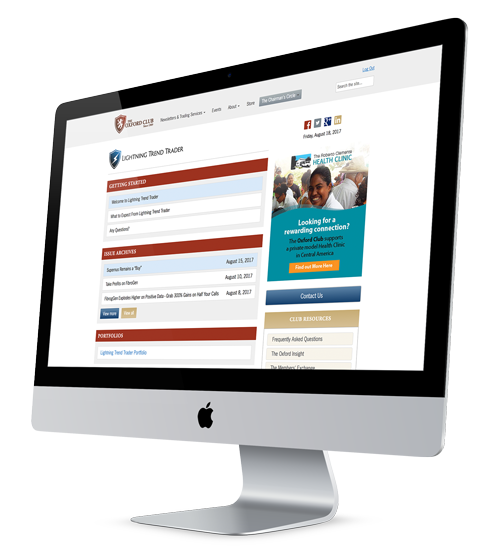 Where one investment can utterly transform your savings... your retirement... your life. These are the kinds of opportunities I’ll be finding for you in Lightning Trend Trader. The web portal is also where I’ll archive every future investment report on breaking biotech opportunities like the Genesis Cure. In addition, I’ll be in touch every single week with an email report on the state of the biotech market and our portfolio. I’ll also send you instant email alerts when it’s time to lock in massive profits. In short, I’m here for you every step of the way. 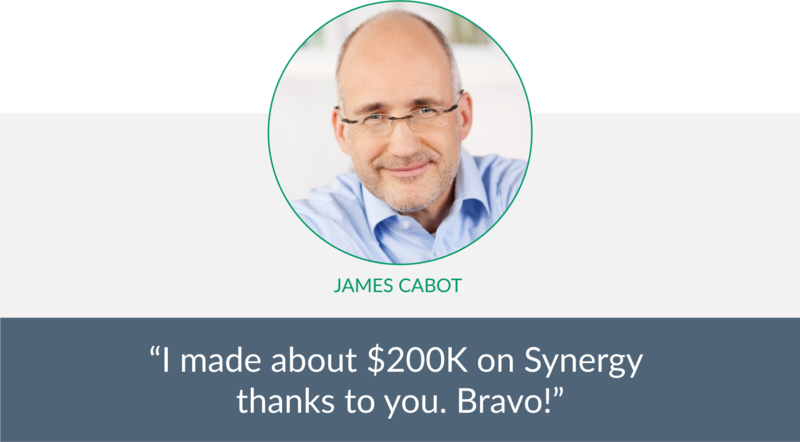 I want to use my 20 years of experience to help YOU get rich off biotech. The profit potential is virtually limitless. That’s why the price for a year of Lightning Trend Trader is $4,000. 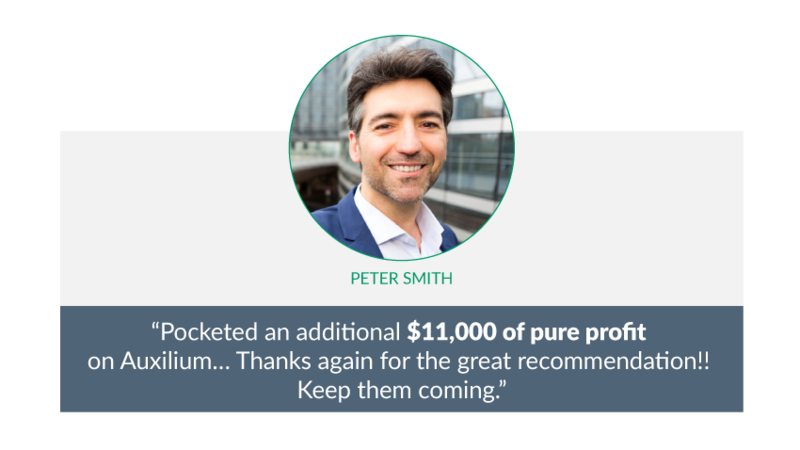 Many of my subscribers make back the cost in a very short time. And because this company is so small, this research is extremely sensitive information. I want to make sure all my readers can get into the stock at a good price. 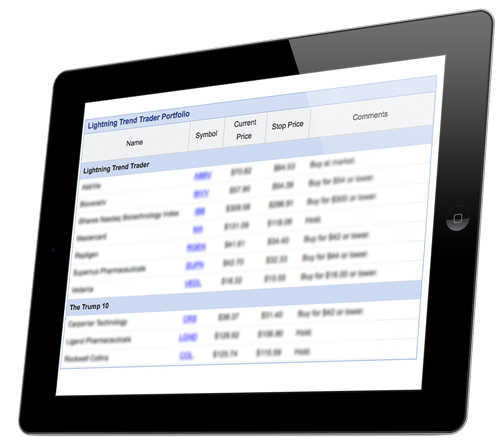 We’re making all sales for Lightning Trend Trader final. Remember, all it takes is ONE big winner to change your life. 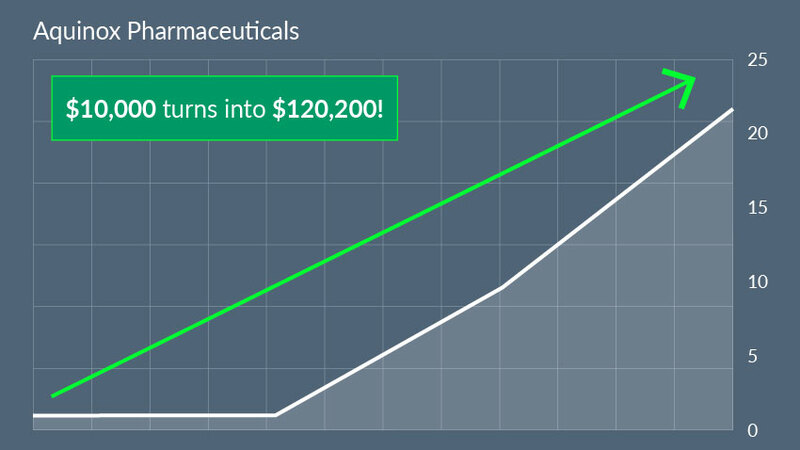 $1,000 put into Jazz Pharmaceuticals just a few years ago would be worth $320,000 today. I’m offering two personal guarantees. Just call my team, and we will give you another year of my breakthrough biotech research absolutely FREE. That’s one chance to double your money every single month. And remember, all it takes is ONE big winner to change your life. 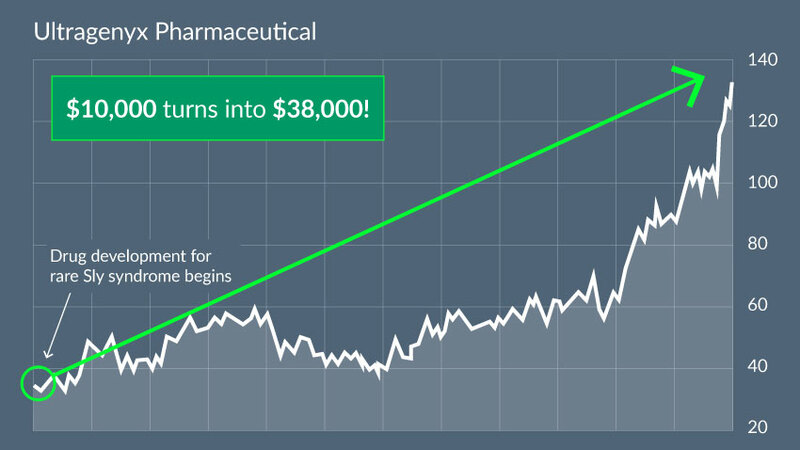 A simple $1,000 put into Jazz Pharmaceuticals just a few years ago would be worth $320,000 today. 2. If at any time or for any reason you’re not happy with Lightning Trend Trader, call my team, and you can put the balance of your subscription toward any of The Oxford Club’s other VIP Trading Research Services. We want you to find a strategy that will help you reach your financial goals. As a thank you for trying out Lightning Trend Trader, you can keep your Genesis Cure investment report, no strings attached. So don’t waste any more time. And scientists are finding more and more uses for the Genesis Cure as we speak. The company with all the right patents on this amazing technology could see a 303,316% revenue increase from just 5% of the U.S. rare disease market. 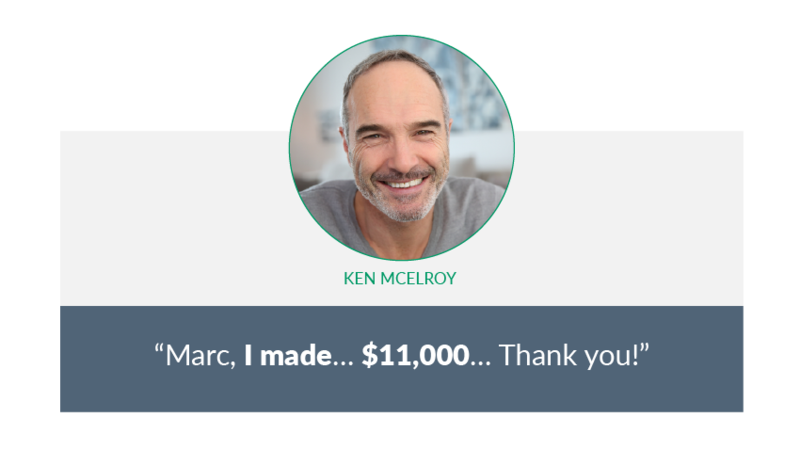 You could see as much as $290,700 in profit from a $10,000 investment. It’ll take you to a secure page where you can review your order before it’s final. But act decisively to get your chance to ride this company’s 303,316% revenue surge to massive profit. I have more than 600,000 readers... so I expect those 225 spots will go FAST. If you’d like to speak with a member of our VIP Trading Services Team, just call 888.570.9830 or 410.864.3090 anytime between 9 a.m. and 5 p.m. ET Monday through Friday. Thank you and good investing.